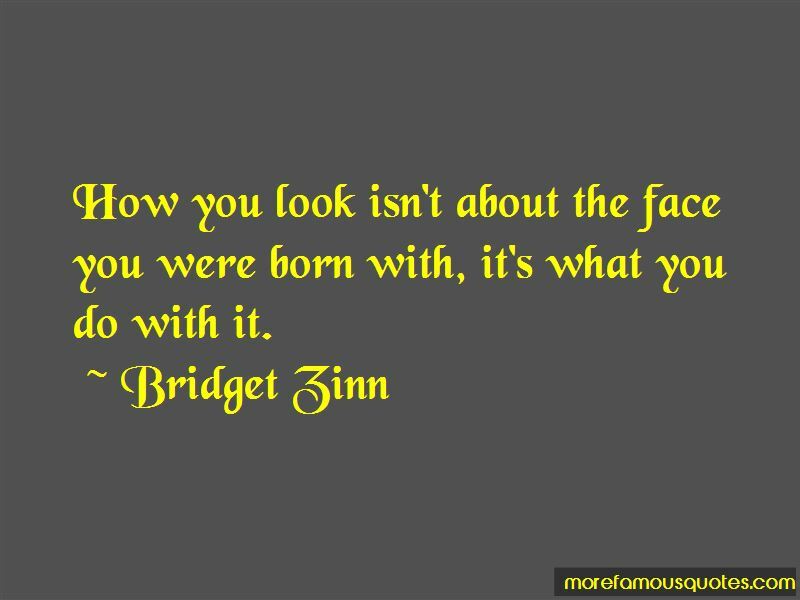 Enjoy the top 6 famous quotes, sayings and quotations by Bridget Zinn. “Ari, maybe we should get you out of here. No joke. You really are dangerous with thus truth serum in you, You might sat something you wished you hadnt." "Like that your mum scares me, but I think your dad is kind of cute in and old-guy sort of way?" Ari, maybe we should get you out of here. No joke. You really are dangerous with thus truth serum in you, You might sat something you wished you hadn't." “Kyra." Fred caught Kyra's eyes. "I'm not in love with Ariana and I don't want half the kingdom." He shook his head. "But I might stick around for a little while longer. There are some interesting things in the Kingdom of Mohr." "Like a certain funny and extremely talented potioner." “I'm glad you escaped, Kyra," Fred said, looking serious again. "And that I found you." "Me too," Kyra said, glancing up at him. "It wouldn't have been much of a life trying to live in the dumbwaiter." 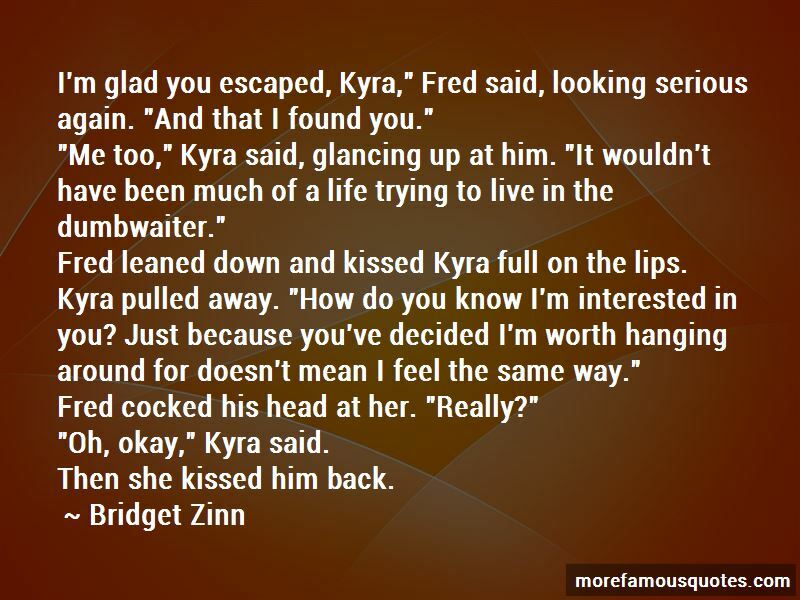 Fred leaned down and kissed Kyra full on the lips. Kyra pulled away. "How do you know I'm interested in you? Just because you've decided I'm worth hanging around for doesn't mean I feel the same way." Fred cocked his head at her. "Really?" Okay, that one's pretty good," Fred acknowledged, after she'd told him a particularly filthy joke. "But have you heard the one about the baker's wife?" "Rumor has it, she married him for his buns." Fred burst out laughing. Kyra groaned. "Okay, that was just bad. How you look isn't about the face you were born with, it's what you do with it. 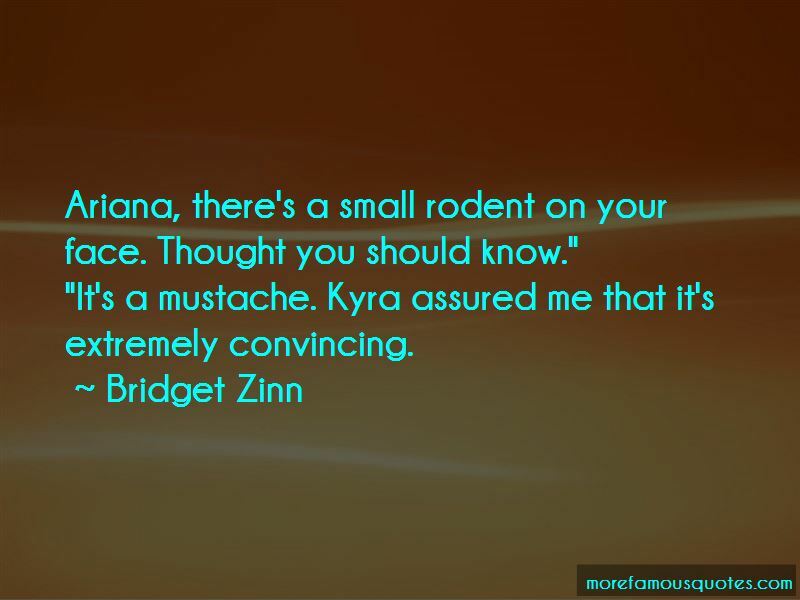 Want to see more pictures of Bridget Zinn quotes? 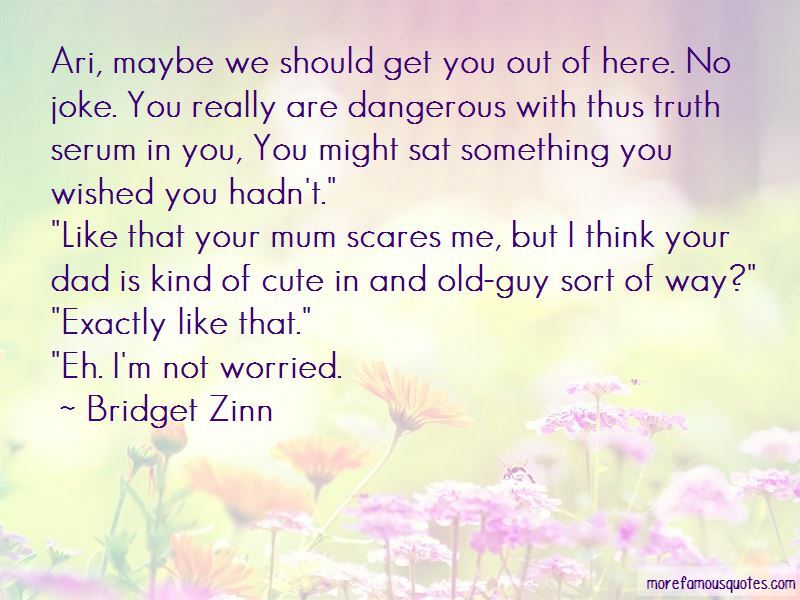 Click on image of Bridget Zinn quotes to view full size.